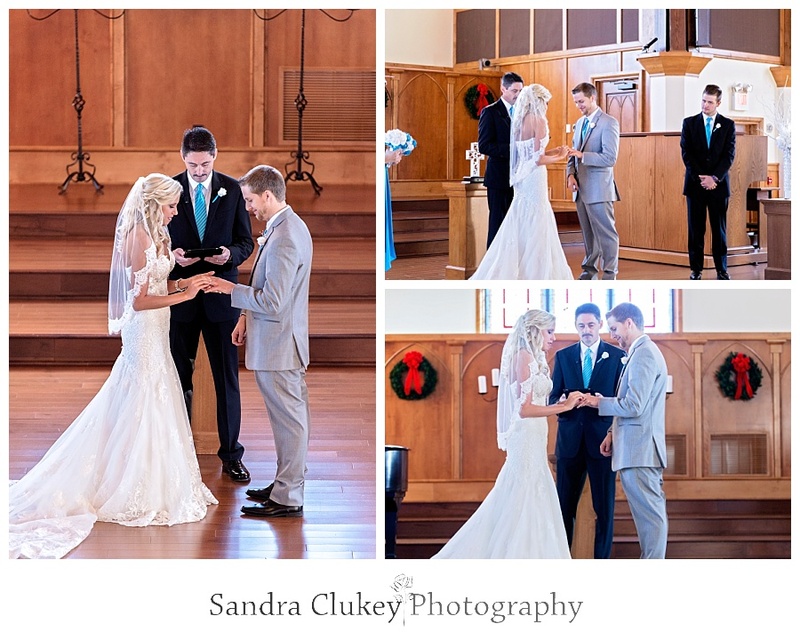 On a clear blue-skied, beautiful, albeit cold, December day at one of the most beautiful wedding venue's in Cleveland Tennessee, Lee University Chapel, the air was filled with joy and expectation because the long-awaited wedding of Tayler Sutton and Chris Moses was about to take place. 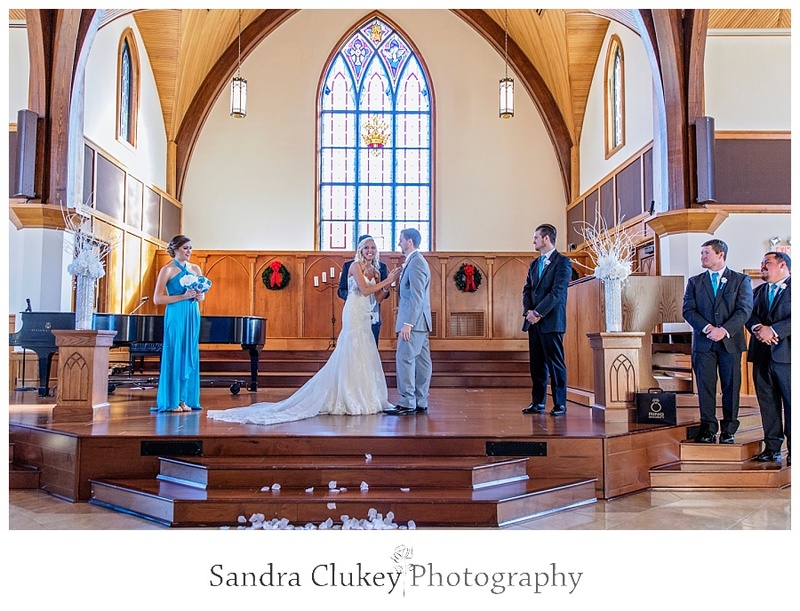 Lee Chapel's charming, warm, and inviting atmosphere with it's architecturally magnificent structure is the perfect place for a wedding any time of the year! As a wedding photographer I am always beyond thrilled to photograph a wedding here at Lee Chapel with it's unique stained glass windows and gorgeous surrounding grounds and courtyard. 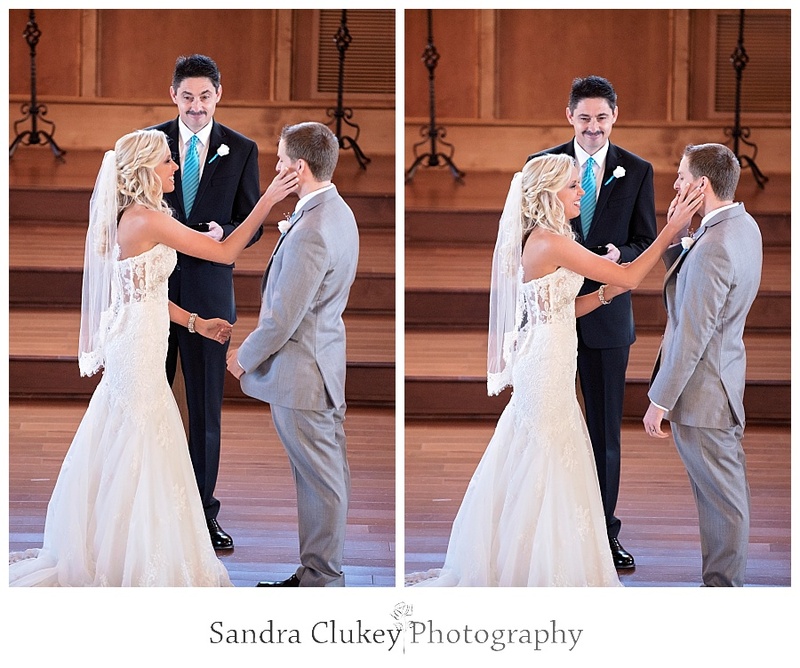 As the groom and the groomsmen all relaxed and slept the morning away, the bride, along with her mother started their day early at Bliss Aveda Day Spa in Cleveland TN where they did a fabulous job with their hair and their exquisite air-brushed makeup. 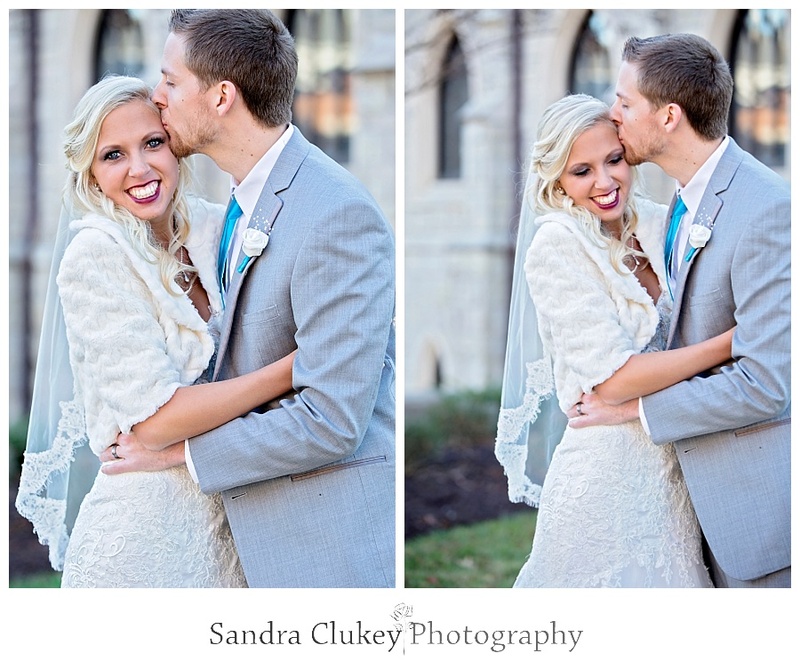 Tayler, the young blushing bride was simply stunning in her David's Bridal sparkling sequined and appliqued veil and gown with cathedral length train. 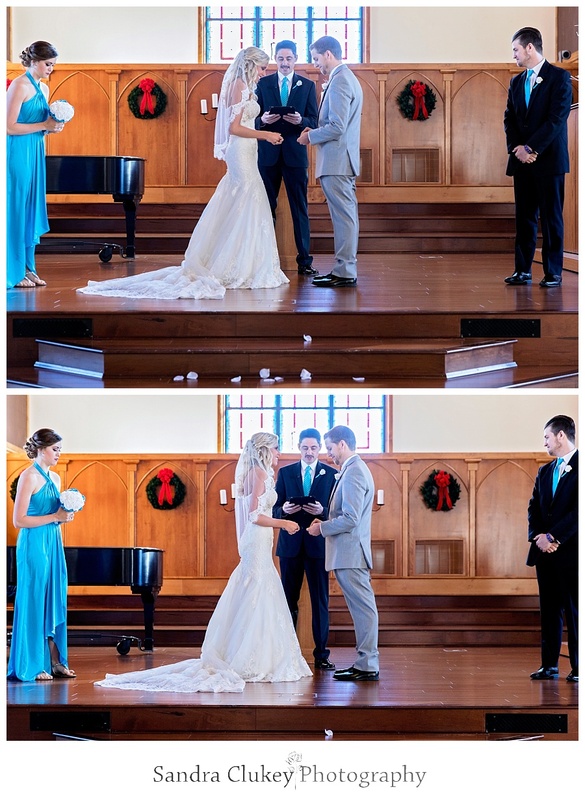 The bridesmaids all looked lovely in their ice blue gowns. Tayler's husband-to-be, Chris, was oh so handsome along with his groomsmen in their tuxedos from Men's Warehouse. Before the ceremony the bride had a touching and emotional first look with her father as well as the groom with his mother. 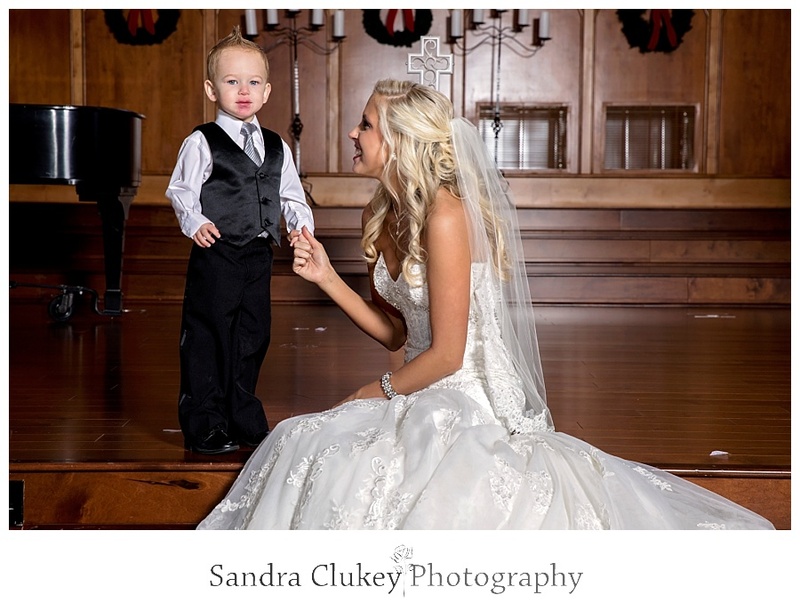 As the unplugged wedding ceremony began, Tayler was all smiles; ear to ear smiles! The joy on her face clearly evident for all to see. 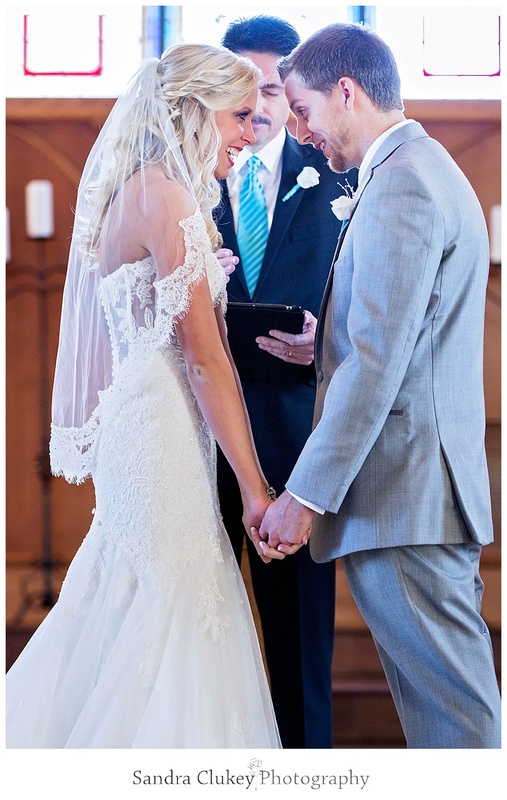 Simultaneously, the look on Chris' face showed his deep love and pride for his new bride. This was definitely a match made in heaven and I believe that God Himself was looking down and sharing in this precious couple's joy. 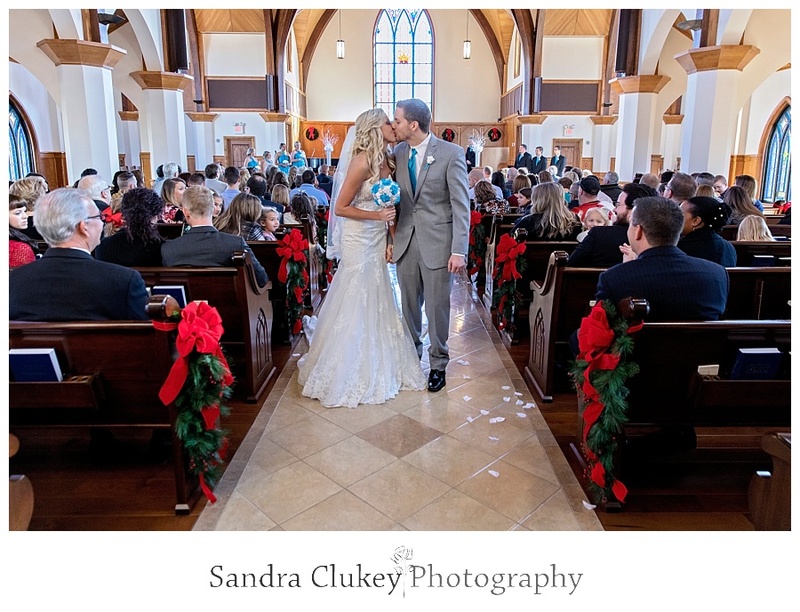 The reception took place at the Church of God of Prophecy Headquarters in Cleveland TN where they transformed this grand indoor venue into a dazzling and magical blue and white wintry wonderland! 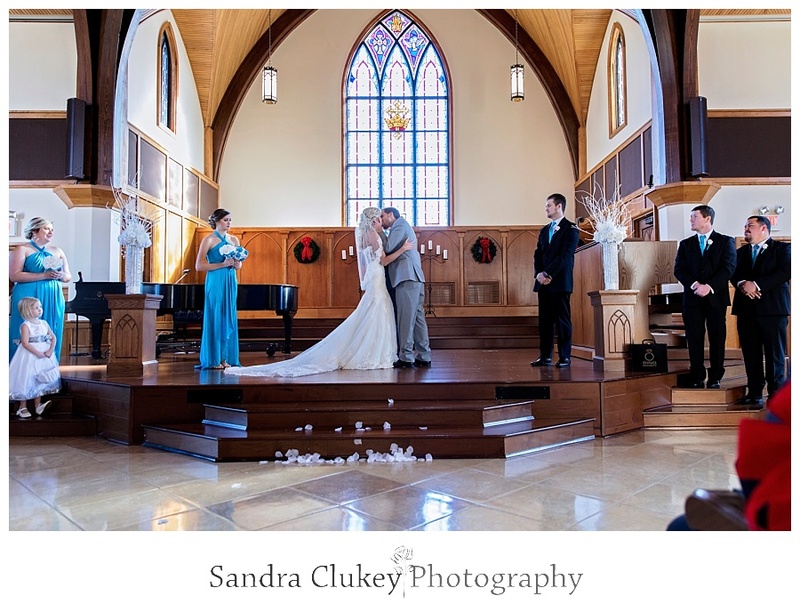 Thank you for viewing and being a part of Tayer and Chris' wedding day at Lee University Chapel in Cleveland Tennessee. 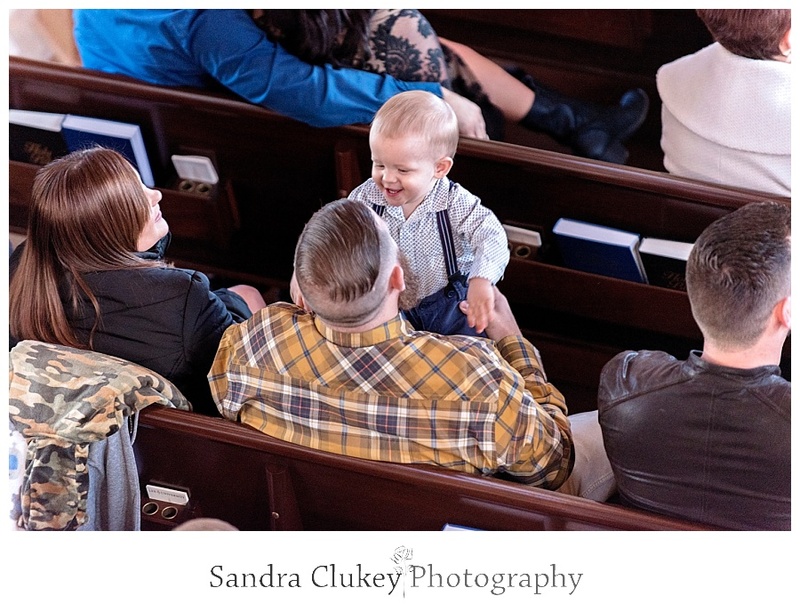 We love photographing weddings locally here in the Chattanooga Tennessee area and surrounding areas including Cleveland Tennessee, Nashville, TN, Knoxville TN, Atlanta GA, and Huntsville AL. We absolutely love to travel and we would be thrilled to travel to your destination wedding anywhere nationally or internationally.